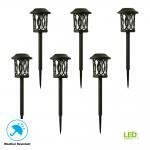 These Bronze Solar LED Pathway Outdoor Lights feature elegant water-patterned lenses for a beautiful lighting effect on your walkway. 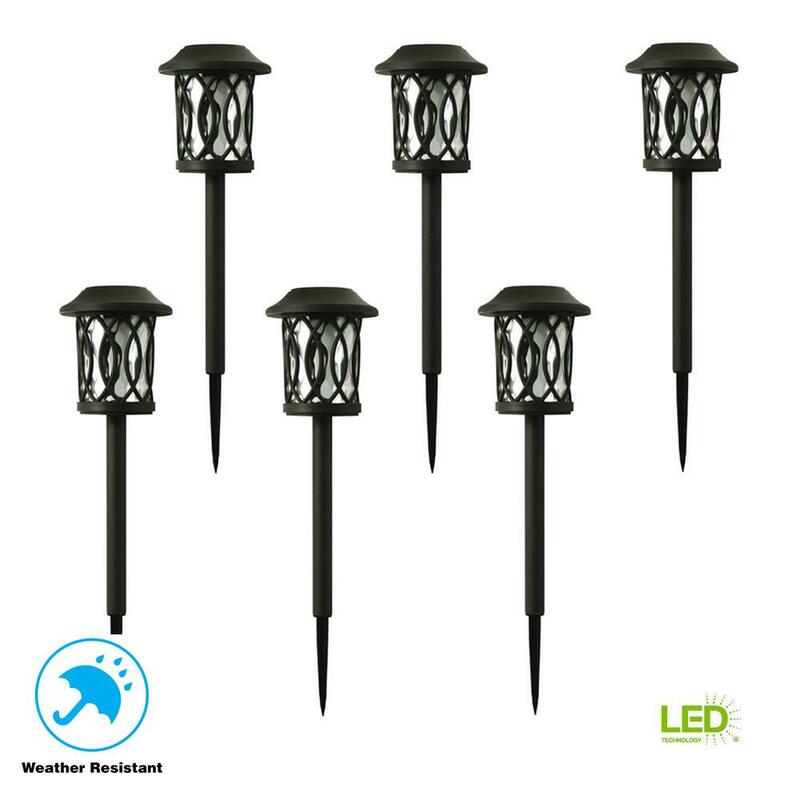 The perfect way to enhance your home's landscape, this 6-pack set of outdoor lights adds charm and elegance while increasing safety in evening settings. Solar-powered means you can use them anywhere the sun shines. With no wiring necessary and LED bulbs, these solar path lights are easily installed and are practically maintenance free.